This past weekend was a first for our little village. 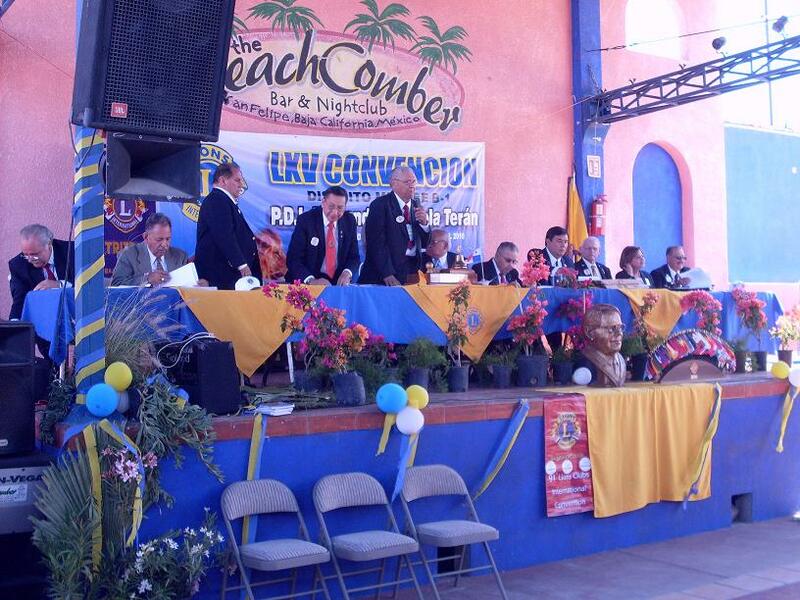 San Felipe hosted, what I believe to be, the first International convention of its kind to be held in San Felipe. The Lions Club International B-1 District (Northern Baja and Sonora) and fellow Lions from as far away as Arizona, assembled for a weekend of meetings and celebrations. San Felipe Lions Club President Gary Dilley, along with the help of Club treasurer Robin Kissee, Antonio Beltran and Salvador Sanchez Rosas of Mexicali Lions Club “Palaco” and San Felipe Lions Club Volunteers, orchestrated a great, fun filled three day event. Most visitors stayed at the “El Cortez” where many meetings and banquets were held, while other meetings and the musical and ceremonial events were staged, on the patio, at the “Beach Comber”. Visitors were bussed to each venue. attendees. It was a moving experience to be part of this great organization, as these like minded humanitarians, recommitted to our goal of helping the neediest of Mexico’s citizens. The emersion into this uniquely Mexican event was a memory I will treasure for years to come. The events included a parade on the Malecon, “Skit” performances by several clubs, “Jail House Rock”, karaoke, the crowning of the “Queen’, a “Gala” Dance with music by “Agave Blues” Band, the installation of new district officers, awards presentations (of which San Felipe received several, including International recognition in District B-1, for helping the “Ninez” of Mexico), a tour of the ‘Sonshine Hacienda” orphanage and a candle lit memorial for our Lions that have passed. I believe our village is a better place, thanks to this convention, and the San Felipe Lions Club is committed to continuing its hard work in the years to come.